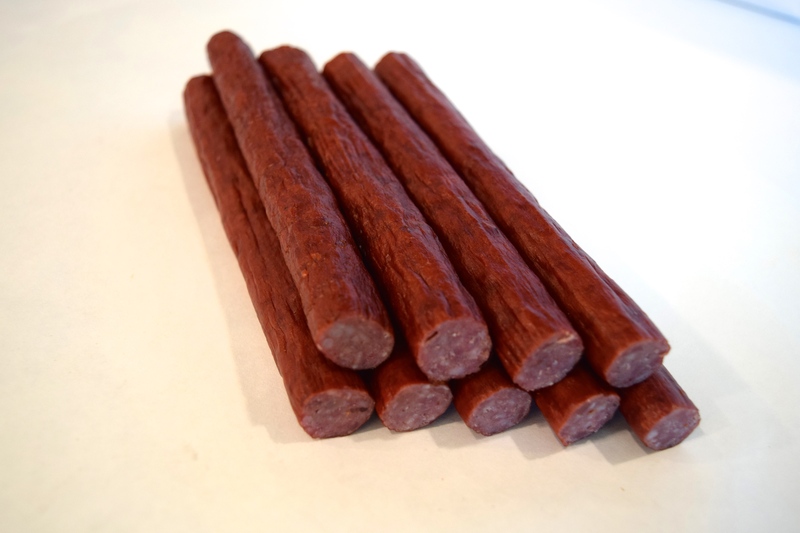 Our Beef Sticks are one-of-a-kind and appeal to everyone! These all-beef snack sticks are hickory-smoked and seasoned with spices. 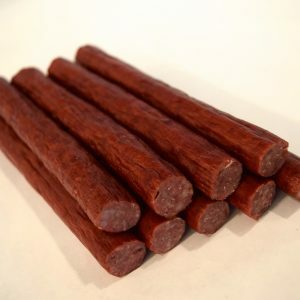 These beef sticks are the best I’ve had. We get them from our high school FFA kids and I’m so excited that I can order them year round now! I haven’t tried the jalapeño ones yet but that’s going to be next. Thanks for making such a great product! Excellent we love these beef sticks. We receive them High school students from Sidney Montana. Wow, as a Veteran Meat Eater, I can saw I was pleasantly surprised. I got these through a fund raiser and even my wife the Non-Meat Eater ate more then one. That is saying something!! Bought these from my friends kid who’s in FFA. 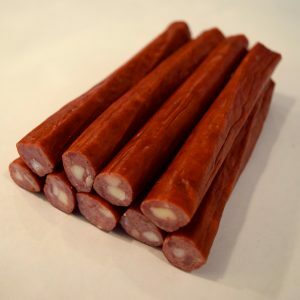 Great snack sticks with a nice snap when you bite into the perfect tasting meat stick. Planning to order more. Are there bigger packages of meat and cheese sticks? 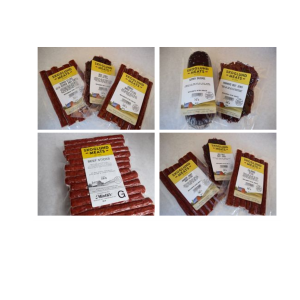 Hi Scott, our Pepper Sticks with Pepper Cheese are available in a 10 ounce package: http://skoglundmeats.com/product/snack-sticks-with-pepper-cheese. These are the best I have had and buy them every year from a fundraiser through 4-H. I need to buy more than once a year so glad I found your website.